Shiraito Falls (白糸の滝) is one of 200 Osaka waterfalls. It is 15m high. 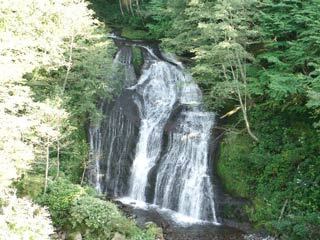 Shiraito literary means white thread because the waterfalls looks like white threads. No access to the bottom, but easily to see from the street.